if you’re bengali, you’ve probably grown up eating shorshe diye machher jhaal, or mustard fish curry. it can be made with many kinds of fish, almost any kind: large bhetki (bekti), rui, katla, chitol; smaller tangra, koi, parshe, gurjaoli; of course, prawns, even pomfret. clearly, we love mustard. but it’s made with special enthusiasm in the rainy season, the monsoon months, when the ilish or hilsa fish comes to the mouth of the river, the estuary or mohona, and its belly fills with roe; and all is right with the world as you get your shorshe bata (ground mustard paste) ready and dream of letting the creamy pale yellow, pungent paste coat the fish as it gently simmers in the jhaal (hot gravy). of course, there are several ways to devour the tender, oily ilish. the jhaal though is incomparable. not exaggerating or reaching for cliches. there’s an eternal debate between bengalis of west bengal and those of bangladesh as to who has the greater claim to the finer ilish. whether the kolaghat ilish of west bengal’s ganga is richer in flavours and more delicious or the ilish of padma, the tributary of ganga that flows through bangladesh. 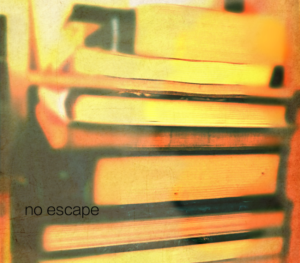 this is an endless battle. maybe pointless too. since most of the really good ilish from everywhere is exported to the uk and usa. since august 2017, just a couple of months back, the ilish has been accorded a geographical identification, tagging it as a bangladeshi product. my poor kolaghat ilish is most upset i bet. 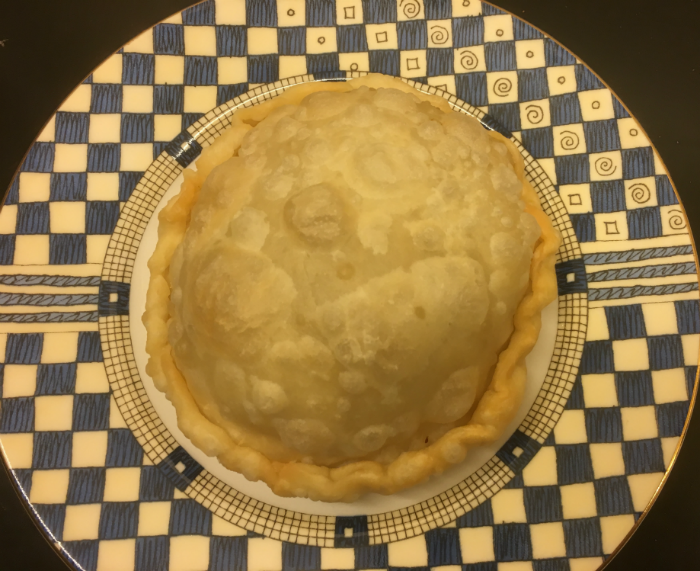 there’s also a note of competition in who makes the better machher jhaal, the west bengalis or those from the east, many of whom moved to india during our tumultuous 1947 partition. i’m from the west. 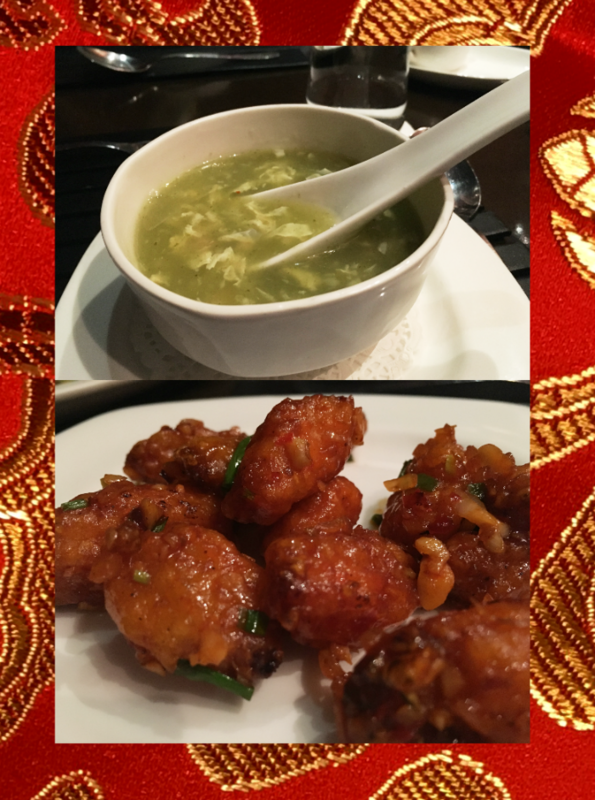 i think in this matter, the east bengalis may be a little superior (i can almost hear my jethima, my eldest aunt on my father’s side, disagreeing and shaking her head), but by now many of us have learnt to adapt and add ideas from each other’s cooking. when i came to singapore, we used to get pretty nice ilish at tekka market. later at the bangladeshi shops. but nothing ever tasted like the ilish back home. i also heard the ilish is from burma, even malaysia. after a while, it became hard to get good ilish. either too big, or too small, or a male fish, which just wouldn’t do. our fearless cook ibi and i started looking for a suitable fish to make a proper machher jhaal. the sea bass was not too bad, though you had to fry it first. the snapper was good too. sometimes the pomfret. but what turned out to be really delicate and just right, was the salmon. the salmon is an oily fish like ilish. it has a beautiful smooth texture, and it has an elegance of flavours that reminded me of ilish. and there were no bones. though i absolutely love fish with bones and a bit of struggle and stretch to get the taste, most people don’t. of course, if you’re a stickler for tradition, you’ll scoff at this choice and shake your head in a mix of ire and resignation. really, what is the world coming to. a “foreign” fish in a great bengali classic? paagol na maatha kharaap, mad or insane? ibi and i came up with our own version of the shorshe diye machher jhaal (fish hot with mustard, literally). my husband who’s not bengali, made fun of my need for fish and mustard, but never refuses a second helping. 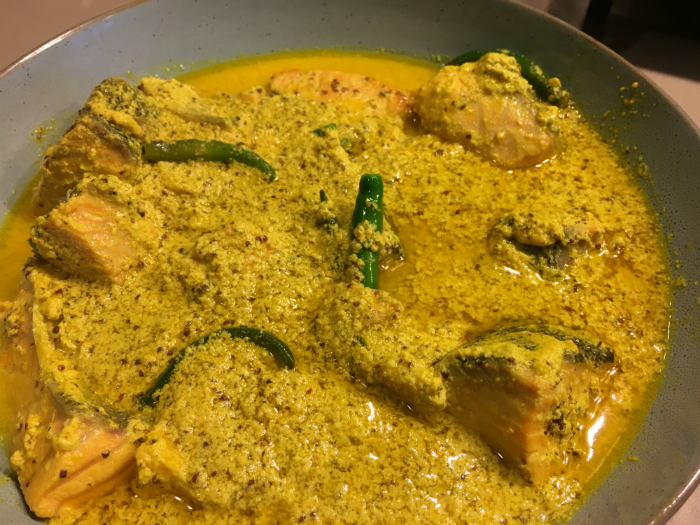 when i asked my daughter, who’s not a fish person, which recipes she’d like me to note down for her, she said promptly, “that mustard salmon thing.” i was pleased, the bengali gene was in good form. we’re expecting guests tonight, and ibi is making salmon with mustard. the gravy is a bit thinner than usual, i bet it won’t matter, for the beauty of this dish is, if you get the mustard paste right, you can’t really go wrong. the gravy can be dense or more runny, and you can play with most of the proportions and fix it to your taste. i think, bengalis are perhaps the only people on earth that make curries and even all kinds of vegetables with mustard as the main ingredient. 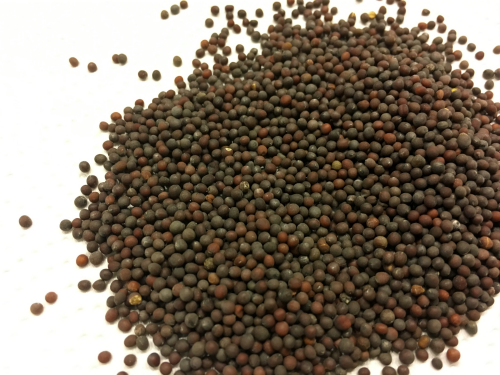 interestingly, we don’t use mustard seeds for tempering like the tamils, telegus, malayalis, kannadigas, mangaloreans, and many up-ites. 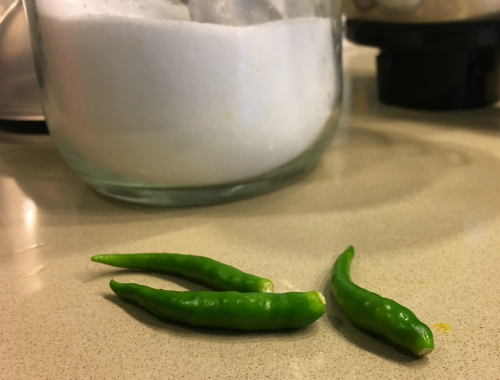 it is one of the five ingredients in our standard paanch phoran or five spice, and in some chutneys, we throw in a little mustard seeds in the tadka (tempering), but that’s all. mustard in the paste form that gets us. and how. mustard, turmeric, green chillies, mustard oil, and salt, one of the deadliest combinations in cooking. 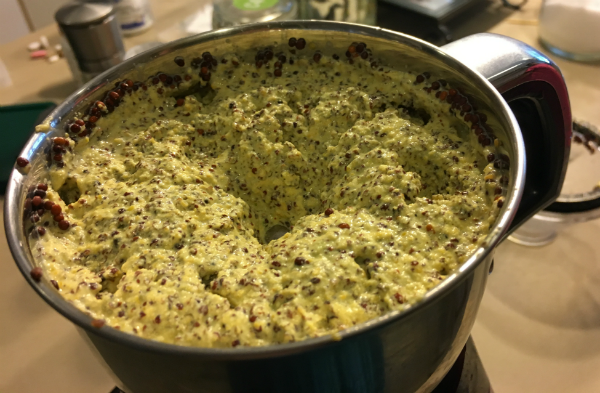 grinding the mustard: this is the most tricky part. mustard tends to go bitter while grinding. 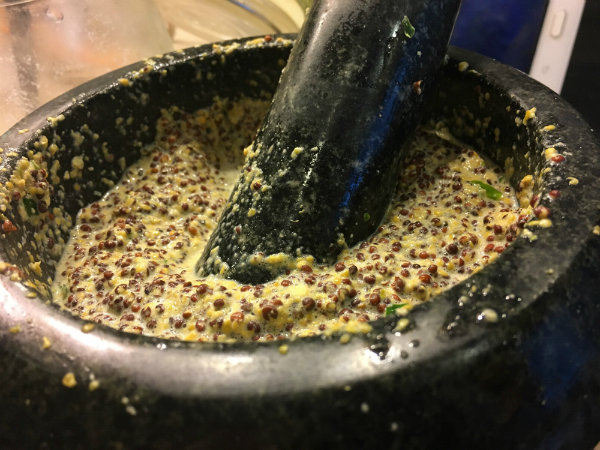 always heard growing up, how you never grind mustard seeds more than three times on the grinding stone… it gets bitter. i use the smallest jar of the blender/mixer, it’s made of stainless steel. one needs a tough grinder to get best results, we use an indian brand named preethi. i never used to have any problems earlier, but of late, the mustard has been moody. so we grind it just for a couple of minutes, only one spin, then strain it well. soak the black mustard in water for a while. 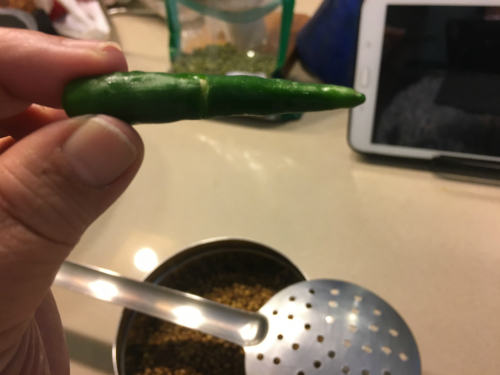 grind it with half a teaspoon salt and one or two green chillies. this is important. it prevents bitterness. strain the mustard paste, squeezing well. add a bit of water to get as much of the mustard as possible. throw in a couple of teaspoons of the husk into the strained mustard. smash the garlic cloves. crack six or seven green chillies; don’t break them, just make a tiny slit in each or gently bend till they break a little. put the fish in a kadai or wok. 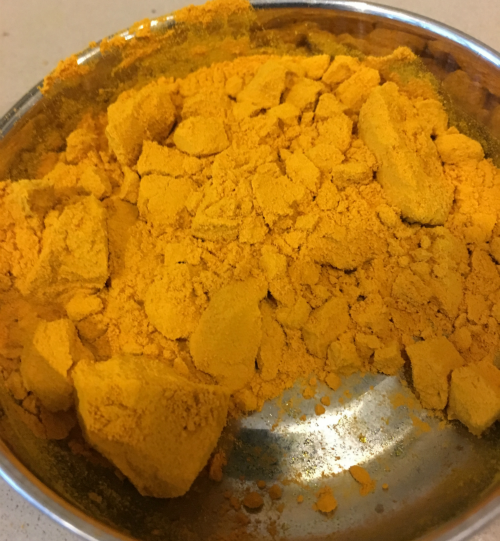 add the mustard, garlic, green chillies, turmeric powder, coconut milk, salt to taste (remember, there is salt in the mustard paste as well), a little over half the mustard oil, and a bit of water. mix well, i always use my hands. you should get a nice heady mustardy smell. 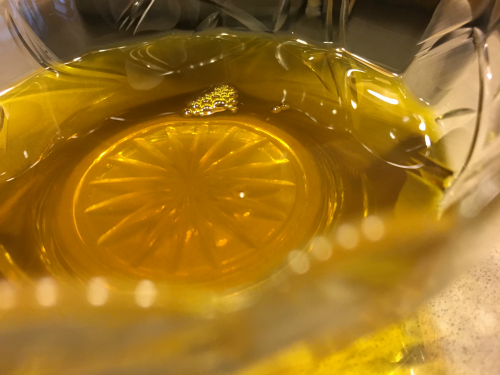 the kick of that mustard oil, stinging your eyes a bit. Cover the wok, and put it on the stove on high-ish heat. when the jhaal comes to a boil, lower the flame and cook for a few minutes without the cover, till the salmon is done. shouldn’t take more than ten to fifteen minutes. sprinkle the pinch of sugar and stir lightly. turn off the fire and pour the rest of the mustard oil into the jhaal. stir it in. 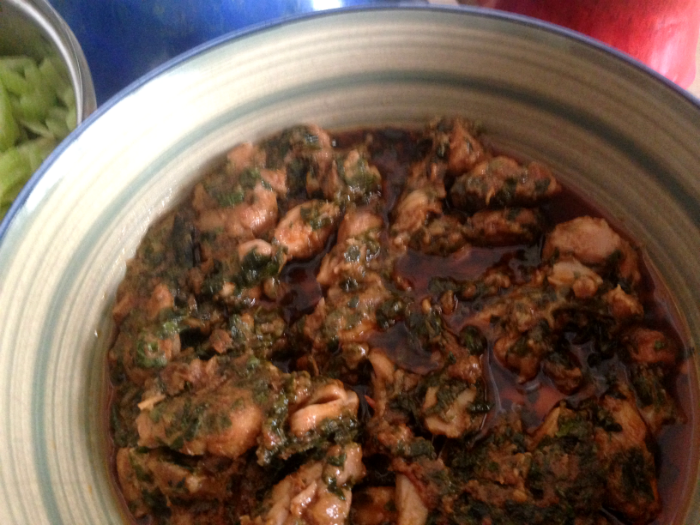 let it sit for a while, then serve with hot rice. 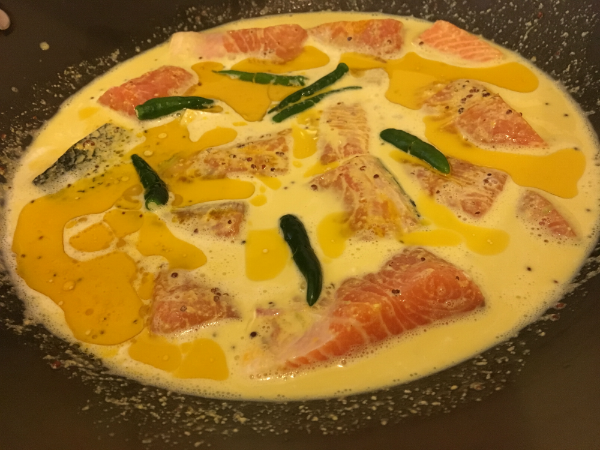 salmon in a melange of mustard, raw mustard oil, chillies, and turmeric, the coconut milk and garlic ready to add their own touch. just before cooking. ~ i think shorshe diye machher jhaal tastes best with the small grained and delicate gobindo bhog rice or thai rice. for some reason it’s not as satisfying with basmati rice. ~ coconut milk tends to curdle at times. you may add it after the fish has cooked for a while. ~ there are many ways to make a jhaal with mustard. some people like to add a couple of spoons of well-beaten plain yoghurt to the gravy and not coconut milk. it also tastes great without any coconut milk or yoghurt you can add a pinch of red chilli powder if you like. you can chop fresh coriander leaves and add it right at the end. 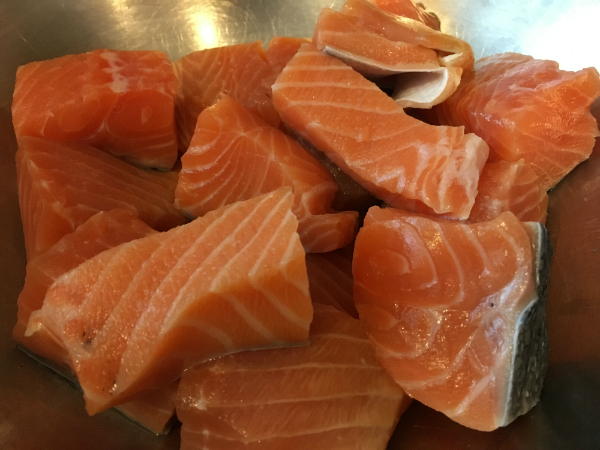 ~ you can also prepare the fish with all the ingredients and bake it. place it in a water bath. don’t forget to add the raw mustard oil at the end. ~ this dish can be steamed too, salmon shorshe bhapa (salmon steamed with mustard) sounds lovely, not so “phoren”, i’m beginning to own salmon i think. add less water than you would to cook it in wok. rub a little salt and turmeric powder on the salmon and keep aside. heat three tablespoons mustard oil in a wok, make sure it’s smoking hot and minus bubbles. throw in one or two green chillies, crack open slightly. they’ll sizzle and begin to go brown, releasing a nice aroma. add half teaspoon black cumin/kalonji into the oil. 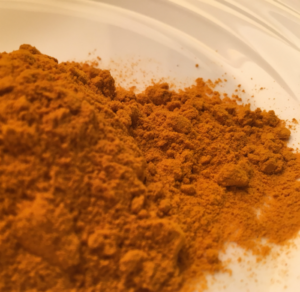 throw in chilli-turmeric paste (in a small bowl, mix one teaspoon chilli powder and one flat teaspoon turmeric powder with a bit of water to make the paste) and fry for a bit, turning often, till the raw smell goes. add the mustard paste, smashed garlic, and a little water (not too much, just enough for the salmon to cook) and bring it to a boil. slide in the fish, add the green chillies, cover the wok. when the gravy starts to boil again, lower the flame. let it cook for ten to fifteen minutes. put off the flame. pour a couple of tablespoons of mustard oil over the jhaal. that pure, untrammeled mustard fragrance, just changes everything. jhaal. jhol is runny and light, rarely with shorshe. Now I’m craving for Shorshe Ilish…. I never had salmon with mustard, but my MIL cooks tuna fish with shorshe bata sometimes, thats too is yummy. hi nishat :), great to see you. really? with tuna? i’ve never tried… i will. any tips? and yes, a good ilish, been years since i had it. Ahhh. Good Ilish… heard story of them from parents. At least, we are getting better ilish since last year, thanks to govt’s rule of banning ilish-catching in breeding weeks in between. Come visit here someday. will treat you with full on bangali khana-dana. 🙂 thanks… i just might land up some day for that khana. yeah, good ilish is bliss. even in calcutta, harder and harder to get.